CLR is a powerful cleaner that removes calcium, lime and rust from many surfaces. 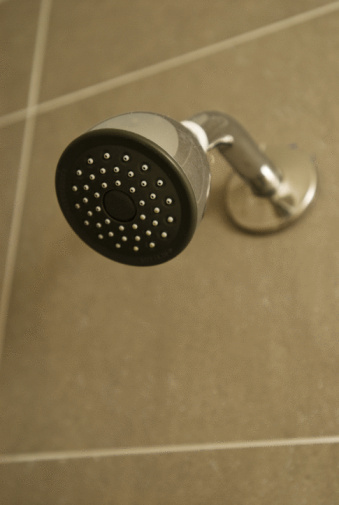 One common use is to help remove mineral deposits and buildup from shower heads. Cleaning your shower head with CLR can help restore proper water flow, as well as improve its appearance. CLR can help clean a shower head with calcium and lime buildup. 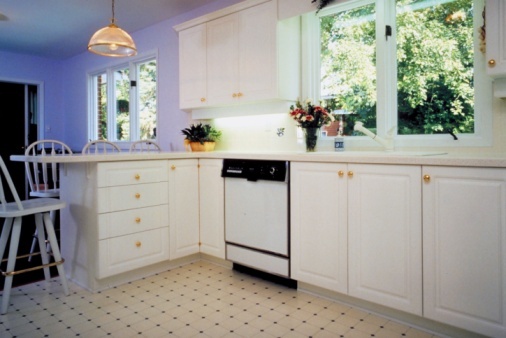 The Jelmar company created CLR in the early 1980s as a companion to their product Tarn-X, a metal cleaner. They decided to name their new product after the substances it was designed to remove: calcium, lime and rust. After the original CLR creation, Jelmar also released many other CLR products. According to Jelmar, to properly clean your shower head you must first remove it from the wall. Then submerge it in a solution of half CLR and half hot water. Leave the shower head in the solution for two minutes before removing it. Rinse it to loosen up any buildup inside the shower head. For stubborn stains or buildup, repeat at full strength, making sure to rinse it thoroughly after each application. Use a brush or sponge to loosen up buildup. Use CLR in well-ventilated areas and avoid getting it in your eyes, inhaling mist or fumes and prolonged contact with skin. Jelmar warns, "do not use CLR on natural stone or marble, terrazzo, colored grout, painted or metallic glazed surfaces, plastic laminates, Formica, aluminum, steam irons, leaded crystal, refinished tubs or any damaged or cracked surface."